DAVID LE/Staff photo. 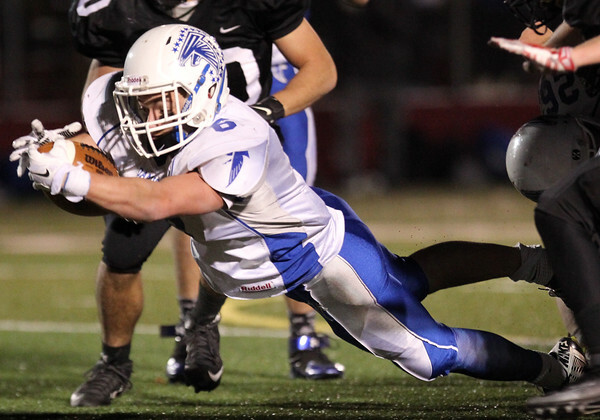 Danvers senior Danny Lynch (6) dives forward to pick up a few extra yards against Marblehead on Friday evening. Lynch ran wild for over 250 yards and two touchdowns to lead the Falcons to a 13-6 win over the Magicians. 11/13/15.